Join us at the largest global gathering of impact investors! Impact investing has captured the attention of a growing community of investors motivated by the industry’s potential for a broad reimagining of the way the capital markets work. In October 2018, investors from around the globe will convene for the preeminent gathering of active impact investors and those who are interested in building an impact investing practice. Hosted by the Global Impact Investing Network (GIIN) and PEI Media, the Forum aims to advance and scale the market through insights from industry leaders, leading-edge research, and unrivalled networking opportunities. The event consists of two Forum days, 30-31 October, and the GIIN members-only event on 29 October. The Forum provides a unique opportunity to gain insights from industry leaders, discuss cutting-edge research, and network with over 1,000 global practitioners. Whether you are currently making impact investments or exploring the opportunities, don’t miss this opportunity to take part in the discussions shaping the future of the market. 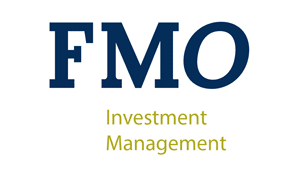 FMO Investment Management is proud to be among the sponsors to make this event possible. Join us this autumn in Paris. See you there?